Welcome to Speedcraft Nissan! We are proud to be Rhode Island owned and operated and serve drivers from across the state. At Speedcraft Nissan the customer is always our top priority. We work hard to earn your business and exceed your expectations with consistent service. Here you will find a wide range of services, including a dedicated Nissan service department, financing services and a huge selection of vehicles.In fact, we carry all of the new vehicles straight from Nissan, including the Rogue, Maxima, Murano and Altima. Whether you’re looking for a powerful SUV or a sophisticated sedan, you are sure to find an incredible selection of vehicles at Speedcraft Nissan. For even more great options, we invite you to browse our wide selection of used and Nissan Certified Pre-Owned vehicles. Every vehicle in our used inventory has been hand picked specifically for Speedcraft Nissan and has passed an extensive multi-point inspection. Only the very best will do for our customers. We carry everything from pickup trucks to sporty coupes. Maybe most importantly, everything is priced to sell. You never know what gem you will find at Speedcraft Nissan! 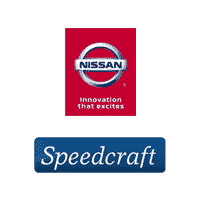 At Speedcraft Nissan we pride ourselves on a seamless shopping process. That means that from the moment you decide to buy or lease a vehicle our team jumps into action. We take care of all the details and present all information clearly so there is no guesswork. Most importantly, we take the time to answer your questions and will walk you through every step of the process. At Speedcraft Nissan we make the car shopping process easy. Experience all that we have to offer today! You can browse our complete inventory online or stop by and see all that we have to offer in person. From all of us at Speedcraft Nissan, we look forward to meeting you.